TIST empowers Small Groups of subsistence farmers in countries such as Tanzania, Kenya, Uganda, and India to reverse the devastating effects of deforestation, drought, and famine. Since 1999, TIST participants have been identifying local sustainable development goals that include tree planting and sustainable agriculture. TIST creates a communication and administrative structure that also addresses health (including HIV/AIDS), education, and nutrition. TIST expects to provide long-term revenue for the Small Group participants through the sale of greenhouse gas credits (GHG). OUR NEW TIST WEBSITE IS LIVE CLICK HERE TO VISIT! See the women of TIST featured in a story produced by the award winning journalists at Ripple Effect Images. TIST was independently selected as a project the world should see. TIST creates a long-term structure for local economic development. TIST helps the HIV/AIDS pandemic. TIST responds to problems faced by two-thirds of the world. 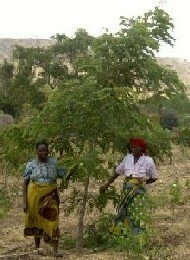 The loss of trees and the continuing use of some agricultural practices hurt the land and threaten the lives of subsistence farmers. The world’s poorest farmers depend on having healthy land for their very survival. They often clear trees off land for new farms. Removing trees exposes the ground to drying winds. Erosion from intense rains removes the rich top soil. Eventually the soil “dies” and farmers move to other land, clear trees, and begin the cycle again. Agriculture that hurts the land and the constant demand for trees results in deforestation, claiming hundreds of millions of hectares in the world and threatening the lives of people who live on the land. Local Small Groups are the foundation of TIST. TIST began in 1999 in Mpwapwa, Tanzania with Anglican Church Small Groups of 10-12 people. Small Group members imagined the kind of lives they wanted for themselves and their children and began developing the approach that became TIST. 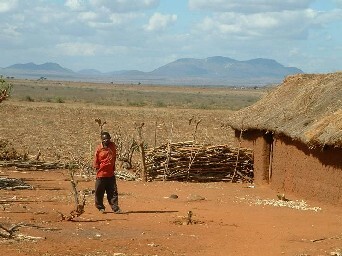 Small Group leaders hoped that the groups could prevent famine, reduce poverty and reforest land. TIST Small Groups are always finding better ways of working together, planting trees, and farming. From their successes and failures, Small Groups develop "best practices" and then encourage other groups to adopt them. Groups adopt new farming practices using existing hand tools and natural fertilizers that increase food production. They develop practices for starting nurseries and caring for the seedlings and share what works best for germinating and transplanting different tree species. 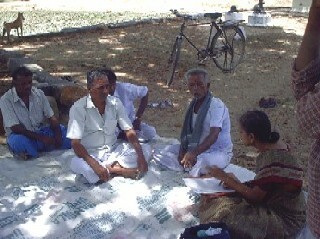 Local decision-making and action is carried out by Small Groups. They decide which species to plant and where to plant them. They select fruit, nut, and other beneficial trees that help local agriculture. Small Group members work together to start nurseries. They know that planting trees around their houses, farms, roads, churches, and streams will reduce topsoil erosion and provide shade for native grasses, slowing the runoff of rainwater. 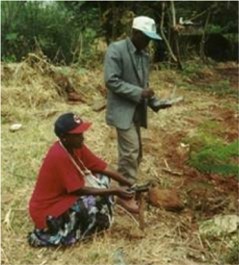 TIST Small Group members use agricultural practices that help them live better on existing land – using natural fertilizers and available tools. Sustainable Agriculture protects soil and increases crop yield in years of good and poor rainfall. Adequate nutrition improves health and provides energy for other economic efforts. Carbon, a part of CO2 (a greenhouse gas that causes global warming) is used by trees and is stored in soil and trees. This carbon storage can be measured and the proven results sold as "greenhouse gas credits." 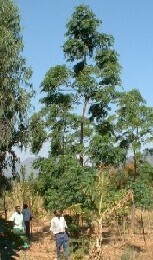 With palm computers and Global Position System (GPS) technology, TIST data on tree growth and carbon storage is collected and transmitted through the Internet. Small cash stipends for every living tree are then deposited regularly into bank accounts opened by Small Groups for this purpose. This stipend encourages groups to devote the time and care necessary to ensure the trees' survival while providing a source of income for years to come for family necessities such as medication and school fees. Sustainable forestry and conservation farming assure other durable economic benefits. "As the trees grow, the money flows" – not only from greenhouse gas credit sales but also from fruit, nuts, timber, firewood, and other forest products that the Small Groups sell. 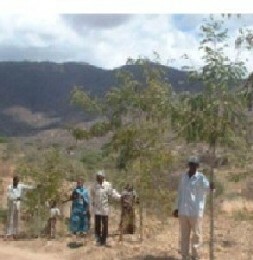 Benefits grow as the trees continually improve the local soil and farming conditions. More food is available as better agricultural techniques are used. Local “field auditors” use the latest technology to document the location, size, and species of all TIST trees. People infected with HIV/AIDS are often able to continue work on their farms for 1-5 years after the onset of the disease. They can plant trees and create an asset that increases in value and provides food, fuel, and an ongoing income for their families. 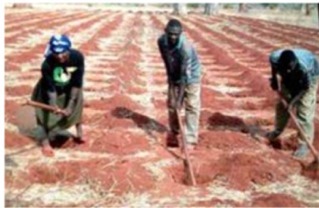 Adopting conservation farming techniques increases food and decreases annual physical effort after the first seedbeds are created. TIST Small Groups are educated about HIV/AIDS and equipped to formulate a response to this pandemic at the group and village level. Groups develop compassionate care and orphan care strategies. The TIST program is working! TIST goes beyond mere ‘sustainability’ by enabling the current generation of farmers to meet its needs in a way that enhances the ability of future generations to meet their needs. Small Groups are excited by this program and know it will leave a legacy for their children. This is why TIST has grown from 40 groups in one region in Tanzania in 1999 to over 9,000 Small Groups with over 60,000 members across eight regions and six countries in 2011, and why over 10 million trees are alive today as a result. 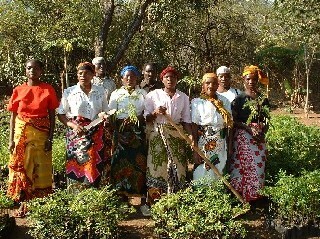 Success – Members of these Small Groups in Kibakwe and Chamkaroma villages are next to their trees. Groups plant where they can benefit from trees – along paths, roads and around farms and homes rather than monoculture plantations.